If there is a God, the phrase that must disgust him is - holy war. Above mentioned quotes are stated by Steve Allen, full name Stephen Valentine Patrick William Allen, who was an American versatile celebrity. He was a comedian, an actor, a composer, a writer, a musician and a television personality. 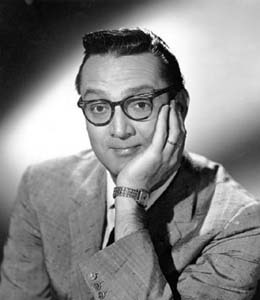 Born in New York, on December 26, 1921, to Billy and Isabelle Allen in Vaudeville, Steve Allen is best known as the first host of The Tonight Show, but he was also a successful musician, composer, author and actor, credited with many books, musical compositions and films. Allen and his mother moved to Chicago, Illinois after the death of his father. He was raised on the south side of Chicago by his mother's Irish Catholic family. He enlisted in the U.S. Army during World War II and was trained as an infantryman. He served at Camp Roberts, California. In 1947, he began hosting a radio talk show for the Los Angeles CBS affiliate, and made frequent television appearances. Those appearances helped Allen make a name for him in the TV industry. Allen's first television experience had come in 1949. He answered an ad for a TV announcer for professional wrestling. He knew nothing about wrestling, so he watched some shows and discovered that the announcers did not have well-defined names for the holds and moves. He got the job and he created names for many of them, some of which are still in use today. The Steve Allen Show premiered at 11 am on Christmas Day, 1950, and was later moved into a thirty-minute, early evening show. The show was only a modest ratings success, and was canceled in 1952, after which CBS tried several shows to showcase Allen's talent. After leaving CBS, he created a late-night New York talk-variety TV program in 1953. The following year, on September 27, 1954, the show went on the NBC network as The Tonight Show, with fellow radio personality Gene Rayburn. The show ran from 11:15 pm to 1:00 am on the East Coast. Allen's clever monologues, quirky supporting characters and wide variety of guests helped in creating the pattern for contemporary late-night talk shows. He delivered his monologues sitting in front of a piano, and would often add his comments with riffs on it. Over the course of his career, Allen wrote more than 50 books, including poetry, humor, social criticism and biblical analysis. He also composed more than 5,000 pieces of music, including film scores and songs for Sophie, a Broadway musical. In 1956, NBC offered Allen a new, prime-time, Sunday night variety hour, The Steve Allen Show, aimed at dethroning CBS's top-rated The Ed Sullivan Show. The show included a typical run of star performers. The show helped foster the careers of many musicians. Although Allen himself did not have much affection for rock and roll, the show featured numerous rock and roll artists in their earliest TV appearances. The show presented Elvis Presley, Fats Domino, Jerry Lee Lewis and The Collins Kids. Allen drove to his son's home in Encino, California, on October 30, 2000, where he decided to take a nap after telling family members that he wasn't feeling well. Not long after, while sleeping, the longtime entertainer suffered a fatal heart attack. He was 78 years old. The Steve Allen Theater at the Center for Inquiry in Hollywood, California, was developed by Amit Itelman, founding artistic director, and named so in 2003, with due respect to the famous and talented Steve Allen. The Center for Inquiry is a nonprofit group founded by Carl Sagan and Isaac Asimov to promote science and humanism. The theatre developed and hosted many significant shows.